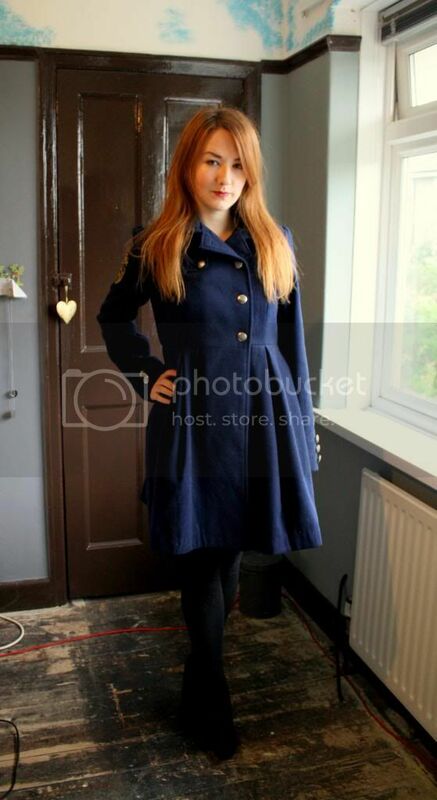 This is a really old coat, I wore it for Michael's passing out parade. And, I just can't love it. It's too big, it puffs out too much, I don't know! It's just wrong! I am good at changing things and making them into something I want them to be, but I'm stuck with this number. I'm going to move the buttons so I can do it up tighter, thus adjusting the size slightly, and I'm going to take the badges off the arms.. but other than that I am not sure what I can do. Perhaps that will be enough? I don't know. Do you have any ideas? what do you reckon? I know it's big and warm and hooded - the perfect recipe for a good coat, but it's just not quite right.